The Futbolgrad Network is back in Moscow after four days at the Sanatorium in Sochi to cover the semifinal between Croatia and England. But before we chat about the Vatreni take on the Three Lions, we have to chat about France. France have often been accused of being boring throughout this tournament. Their final group stage match against Denmark, where both sides appeared to have signed a non-aggression pact to play for a 0-0 draw, was the most boring game at the tournament. On the other hand, France are also able to produce fireworks. Because in the round of 16 the Equipe Tricolore produced fireworks as they eliminated Argentina 4-3. For the most part, however, this has been a pragmatic French side that got the job done against Uruguay with minimal effort. Minimal effort was also on display on Tuesday when France faced Belgium. In some ways, that match felt like the final before the final. The World Cup bracket meant that the most talented sides, Argentina, Uruguay, Brazil, Belgium and France all ended up on the same side of the draw. Belgium were brilliant in this tournament thus far and eliminated Japan after a two-goal deficit in the round of 16 and then Brazil in the quarterfinals. But in France, they finally found their masters despite playing attractive football. The Equipe Tricolore scored the winner in the 51st minute through a set piece – Samuel Umtiti headed home an Antoine Griezmann corner. 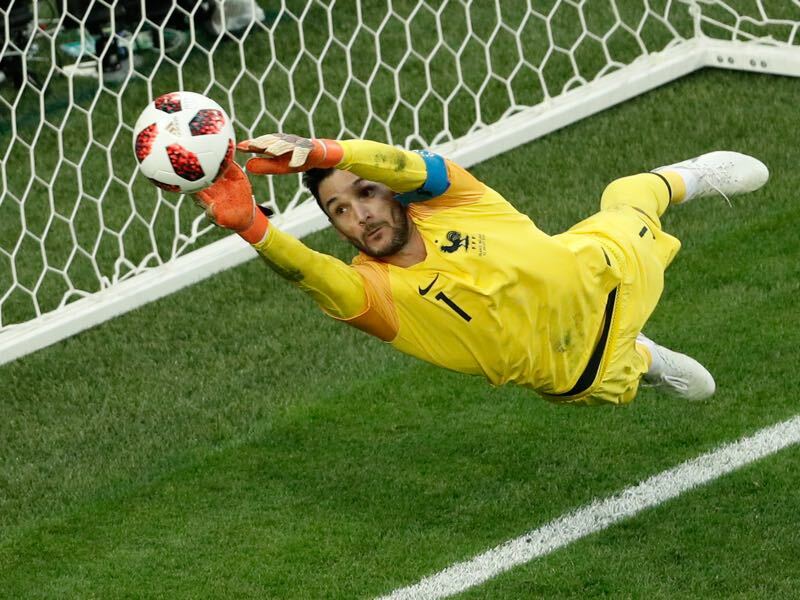 Following the goal, France simply shut shop and with Hugo Lloris producing several key saves Equipe Tricolore will now be favourites no matter what opponent the other semifinal will produce. Led by the 19-year-old Kylian Mbappé France have found a pragmatic balance between attacking brilliance and defensive stability that in many ways echoes the 1994 FIFA World Cup winner Brazil. Like Brazil in 1994 France have without a doubt the most talented side. Also like Brazil in 1994 France have been criticised for playing boring football by the press and their opponents. 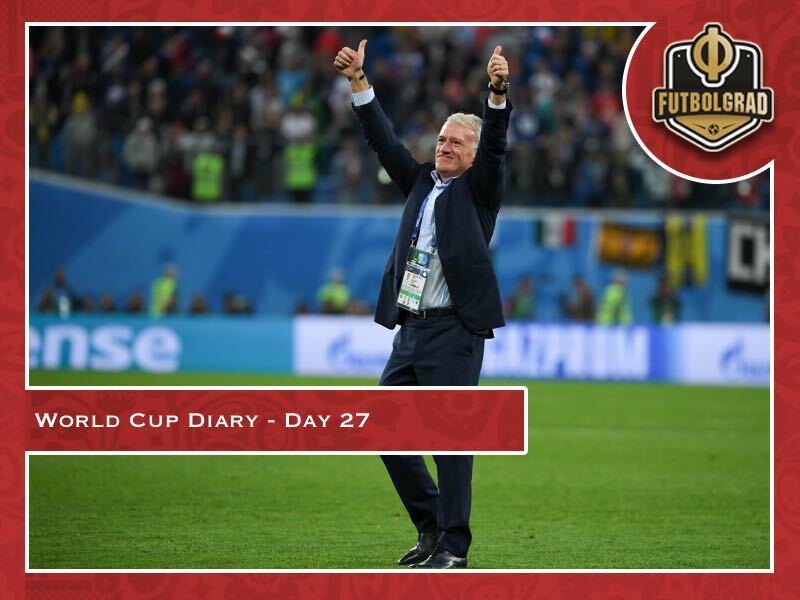 But with head coach Didier Deschamps losing the 2016 Euro final two years ago he will care very little about what people think about his football. Bottom line is he wants to guide France to a title, and the chances are now higher than ever. Belgium’s players were fuming after the 1-0 defeat to France. “I have never seen a striker [like Oliver Giroud] play this deep [in his half],” Thibaut Courtois told Het Nieuwsblad. “It is their good right to play like that because they know that it will cause us problems. But it isn’t nice to watch. [France] aren’t better than us. They defended well, but that was about it. To be honest, I would have rather lost to Brazil than against this French side,” Courtois added. Belgium had 64% ball possession. “No, I was not annoyed by France. I play for Manchester City, and there it is normal to play against teams that only defend”, Kevin de Bruyne added. “We would have done the same thing”, he explained after he was asked about France’s time-wasting towards the end of the game. ⚽️Three Lions – it’s coming home or going home? Belgium are now headed to St. Petersburg to face the loser of the other semifinals for the thankless third-place final. It could be potentially the last big match of this Belgium generation. With an average age of 27.7 years, the Red Devils were right in midfield when it came to the oldest teams at this tournament. Several key players are now in their prime, and while they might be still competitive in two years time for UEFA’s mega Euros, there might be not enough left in the tank for this generation to be competitive in four years time when the World Cup takes place in Qatar, however. The Futbolgrad Network is now back in Moscow. We will cover the final stages of the tournament from here with live coverage from Croatia against England. With the tournament also slowly but surely wrapping up we will return to our club coverage. Until next time. Do svidanye from Moscow.